UK - Only six years has past since the the last epidemic, now a fresh outbreak of foot-and-mouth disease has been confirmed in the the UK. Tongue of steer with 3-day-old lesions. 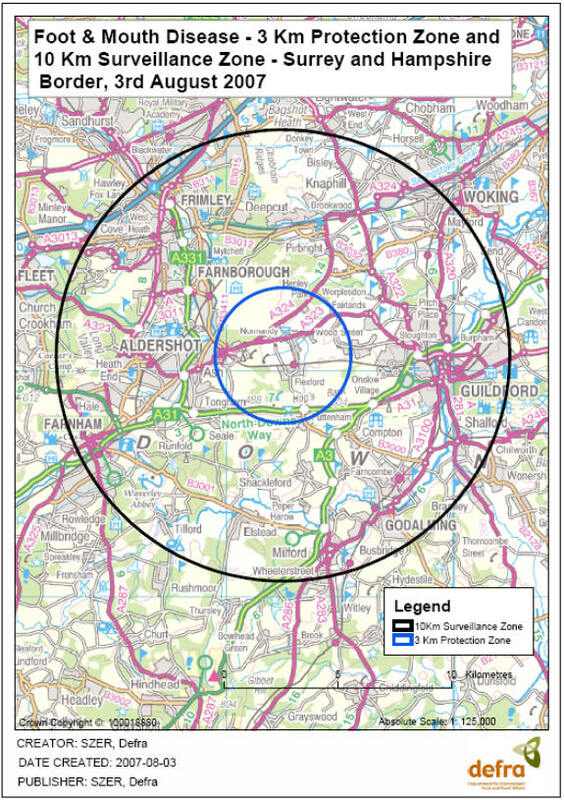 A three-kilometer protection zone has been quickly put in place around the affected farm near Guildford in Surrey, while all cattle on the farm are to be culled. Lessons have been learned since the last outbreak in 2001, says the UK's chief vet, Debby Reynolds: "The animals will be humanely slaughtered and disposed of by incineration; obviously [there will be] no pyres, no burning of carcasses....we have a whole wide range of measures to identify what has happened. It's the very early stages of this; we need to determine where the virus has come from and where it might have spread." A ban on the movement of livestock has been imposed by the government, which was sharply criticised for its handling of the foot and mouth crisis of six years ago. The disease, which affects cattle, sheep, pigs and goats, led to over 6 million animals being killed in the UK. Prime Minister Gordon Brown has cut short his holiday to return to London and address the issue.